This course will open students’ eyes to the use of materials surrounding them. It will include a field trip to discover environmental materials, they themselves can incorporated with a chosen subject related to a flower topic. This will stimulate the craft of new design in their minds adding form, texture and colours with natural materials along with light and balance. It is very important as a design technician to be able to create a workable showcase satisfactory for clients or to be judged in competition. Private or consultation is provided for your examination or management of your flower shop. The skill of contemporary flowers and photography associated with commercial Work. The aim is to show students how to put it together for a photo shoot. No special camera technique is required. Class upon requests. 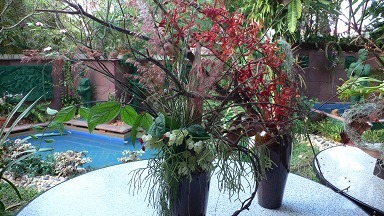 Step by step of flower arranging, especially developed classes for Thai nations. 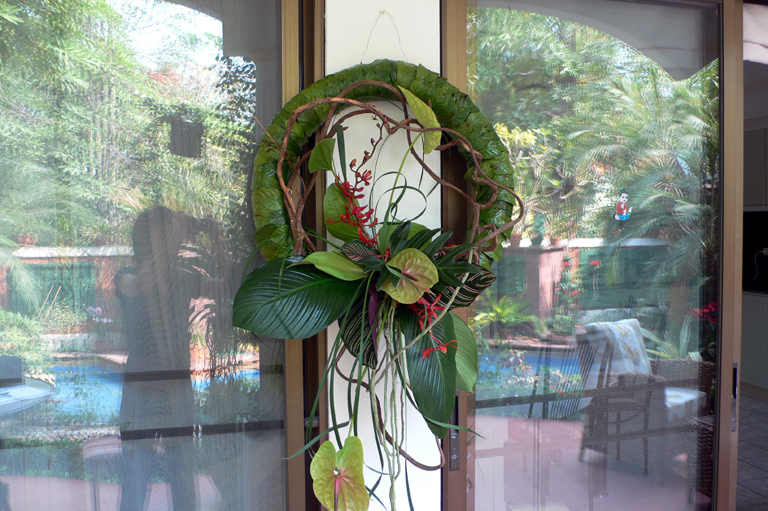 This course is a fun course for people who enjoy flower arranging at home. Many useful tips will be introduced by the tutor. You will work on your own after demonstrations. Some English is essential to attend. Every year, we run this course for experienced florists. In 2011 class our visiting designer was a Dutch Master Andreas Verheijen who would bring to the school his exciting theories on phalaenopsis bridal work and contemporary expression. Master florist Barbara Shakespeare and Chihiro Hidaka introduceed new product ways of design and technic. In 2012 class, we had brilliant British leading Judge, Lynda Owen to introduce the most up to date designs. In 2013 class, blast of colours in lush bouquets created by Hazel Lines N.D.S.F F.S.F. Another opportunity to welcome Lynda Owen to conduct competition class. We continued the course back in Weston-super-Mare since 2014. In 2015, we run Summer school and Autumn school. We will be happy to visit Malvern in 2016 corporate design with Chris Morison and also Lynda Owen for various bouquet ideas. Hopefully we will be back in London with the award-winning floral stylist, Laura Leong in 2017!